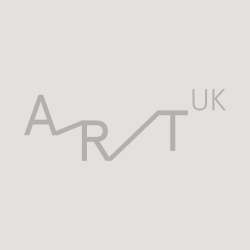 At Art UK we are on a mission to open up the nation’s public art collections to the world – for enjoyment, learning and research. A massive 80% of the UK’s public art collection is hidden from view in storerooms, or buildings without routine access, and for many UK collections Art UK is the only place where the public can see their artworks online. By photographing and publishing online over 220,000 artworks we can give anyone that visits Art UK free access to our nation’s artistic treasures whenever and wherever they are. We play a major role supporting public art collections, by improving their accessibility and sustainability. Although we are a relatively small charity, our platform is shared by over 3,250 UK art collections and over two million people use our website each year. No other country has a resource like Art UK. It is through the generosity of individuals, corporate organisations and trusts and foundations that we are able to achieve our mission. We are continuously expanding and diversifying our content, through nationwide digitisation programmes and focused work with partner collections, and hope that we will be in a position to do so for many years to come. Through our learning and participation programmes, we are opening up wonderful learning opportunities for audiences of all ages, levels and backgrounds. Each gift received, no matter how large or small, will mean that you too are helping audiences around the world to enjoy our nation’s art. There are many ways you can choose to support Art UK. Please explore the options below to see how you can play a role in our dynamic organisation.